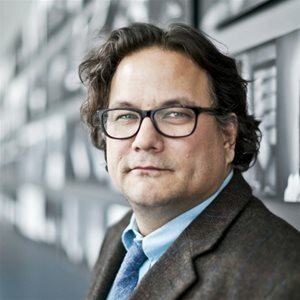 Jesse Wente is a highly-respected broadcaster and cultural industries leader, having worked at major Canadian cultural organizations. A film expert, he has spent two decades working in the creative community and advocating for Indigenous rights. He is the current Director of the Indigenous Screen Office. He has been Director of Film Programmes at the TIFF Bell Lightbox for the past seven years, and has contributed to CBC Radio as a critic, reporter, and producer since 1996. Jesse has served on numerous Boards, including the Toronto Arts Council and the imagineNATIVE Film and Media Arts Festival. He is Ojibwe and his family hails from Chicago and the Serpent River First Nation.